I never asked Tom why he hired me. I was barely 17 at the time – already a Debian developer, full of more enthusiasm than experience, and Tom offered me a job. It was my first real sysadmin job, and to my delight, I got to work with Unix. For two years, I was the part-time assistant systems administrator for the Computer Science department at Wichita State University. And Tom was my boss, mentor, and old friend. Tom was walking proof that a system administrator can make the world a better place. That amazing time was two decades ago now. And in the time since, every so often Tom and I would exchange emails. I enjoyed occasionally dropping by his office at work and surprising him. I had (and still have) a passion for Free/Open Source software. Linux was just new at the time, and was barely present in the department when I started. I was fortunate that CS was the “little dept. that could” back then, with wonderful people but not a lot of money, so a free operating system helped with a lot of problems. Tom supported me in my enthusiasm to introduce Debian all over the place. His trust meant much, and brought out the best in me. I learned a lot from Tom, and more than just technology. A state university can be heavily bureaucratic place at times. Tom was friends with every “can-do” person on campus, it seemed, and they all managed to pull through and get things done – sometimes working around policies that were a challenge. I have sometimes wondered if I am doing enough, making a big enough difference in the world. Does a programmer really make a difference in people’s lives? Tom Wallis is proof that the answer is yes. From the stories I heard at his funeral today, I can only guess how many other lives he touched. 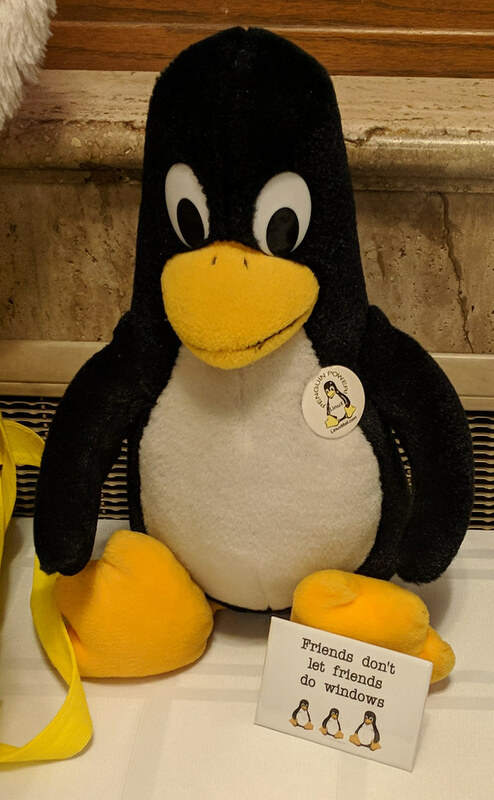 This week, Tom gave me one final gift: a powerful reminder that sysadmins and developers can make the world a better place, can touch people’s lives. I hope Tom knew how much I appreciated him. If I find a way to make a difference in someone’s life — maybe an intern I’ve hired, or someone I take flying — than I will have found a way to pass on Tom’s gift to another, and I hope I can.